If you’re like us, then you know just how amazing Young Rising Sons are. 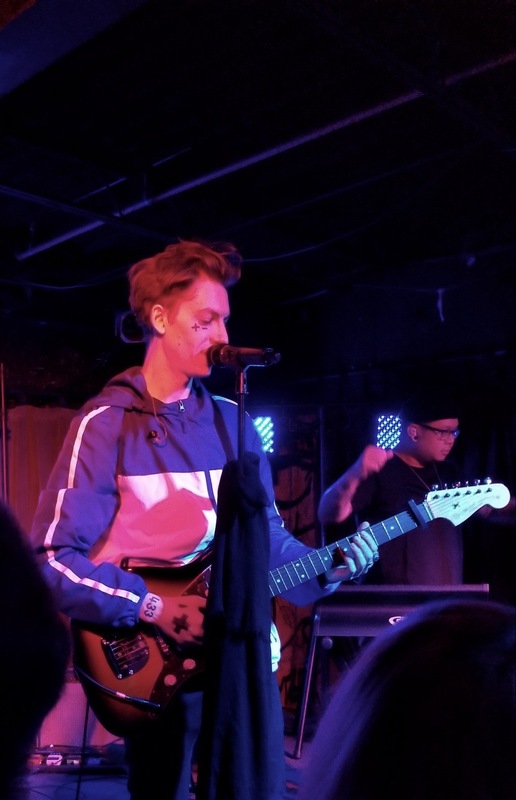 Comprising Andy Tongren (vocals/guitar), Steve Patrick (drums/vocals), and Julian Dimagiba (bass), the New Jersey indie trio has won the hearts of listeners with their uplifting lyrics and heartfelt honesty. Supported by an extremely loyal fan base, the Sons catapulted into the spotlight in 2014 with their hit single “High” and won placements in Toyota, Pepsi, and Hulu commercials, trailers, video games, and ESPN broadcasts. Four years later and the band is still going strong. 2018 has seen three stunning new singles from the trio along with a fall tour. Musical Notes Global had the opportunity to sit in on their recent show at Cleveland’s Grog Shop, a great small venue with a personal feel. When they covered Smashmouth’s “All Star.” Putting their Rising Sons spin on the track, they transformed this infectious pop classic into an indie rock jam. Even better: they got everyone involved by having the crowd crouch down and then jump up when they sang "hey now, you're an all star." When Andy sang “Somebody.” Tongren gave the crowd a treat when he played an acoustic solo, “Somebody,” hitting throaty high notes like nobody else. But this was also one of the funniest moments of the show: Steve and Julian had ordered mozzarella sticks through Dash Door and ate them while Andy sang! When they made us teary eyed. One of the moments that really stood out came toward the end of the show. Getting personal with their fans, Andy revealed that the band has thought about quitting, which, to longtime fans, came as a shock. However, much to everyone’s relief, they said they stick around for all those fans who have loved them through the good times and the bad. When they ended the set with fan favorite “Fucked Up.” This song will always be one of our favorites and the energy that filled the room when they performed this feel-good hit was absolutely electric. If you saw Young Rising Sons on tour this fall we want to know your favorite moments! Leave them in the comments or hit us up on Twitter, Facebook, or Instagram @mngblog. Listen to the Latest from Young Rising Sons: "+Whiskey-"